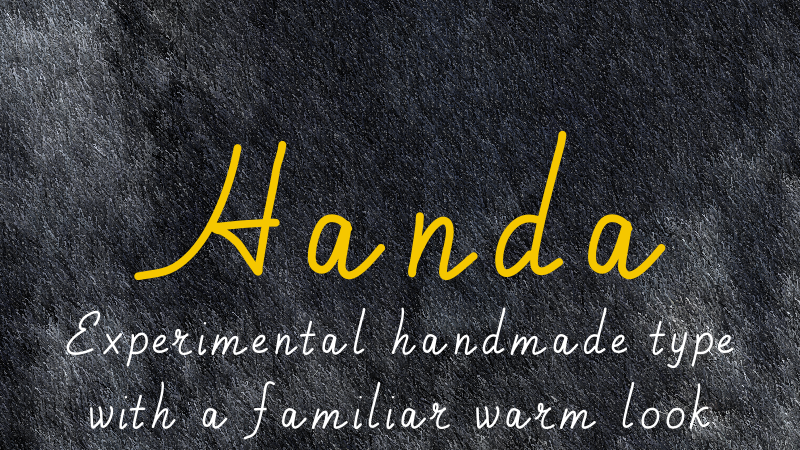 Handa font is a hand made pencil type designed by Andrei Olaru and is part of the Kreativ Font Collection V1 Bundle. With its rounded, almost italic lines, Handa can create a familiar warm look so necessary when you need to create a cosy feeling for your readers. Please let me know if I can help you using the font. Also if you find bugs or need improvements for this font, don’t hesitate to contact me. Handa! A font description published on Wednesday, July 23rd, 2014 in Andrei Olaru, Fonts, Kreativ Font by Andrei that has 7,991 views.